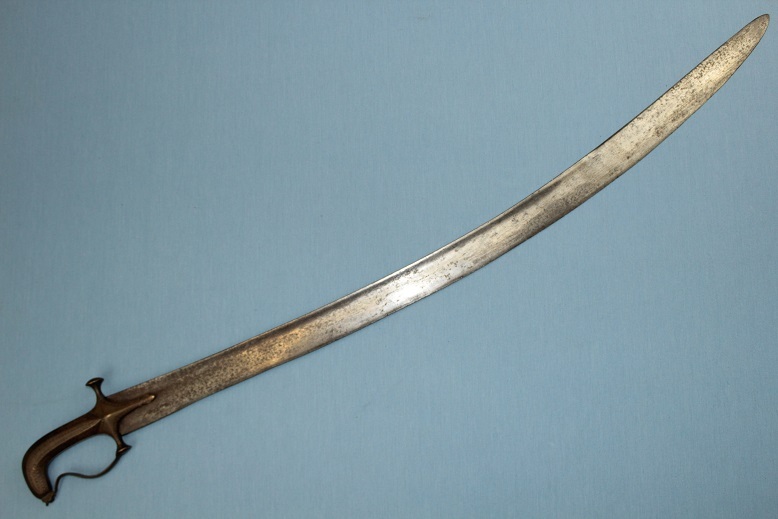 A good 18th century Indian sabre with a rare hilt type. 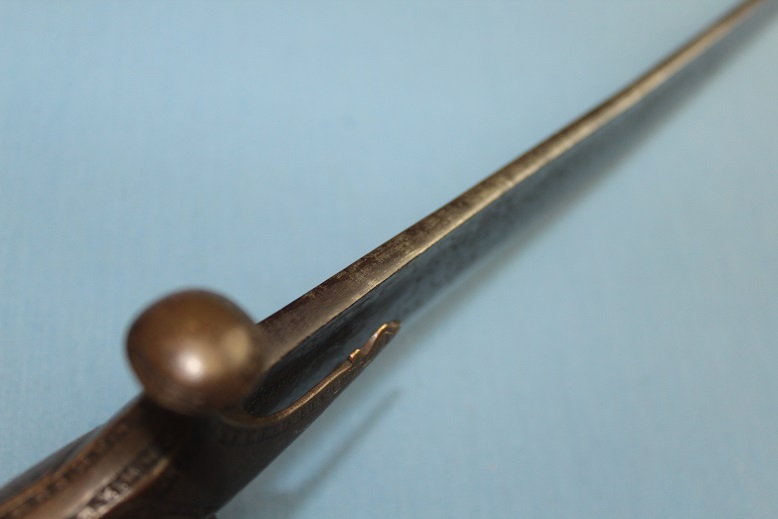 This sabre measures 84.5cms long and carries a blade which is 74cms long from the tip to the centre of the base. 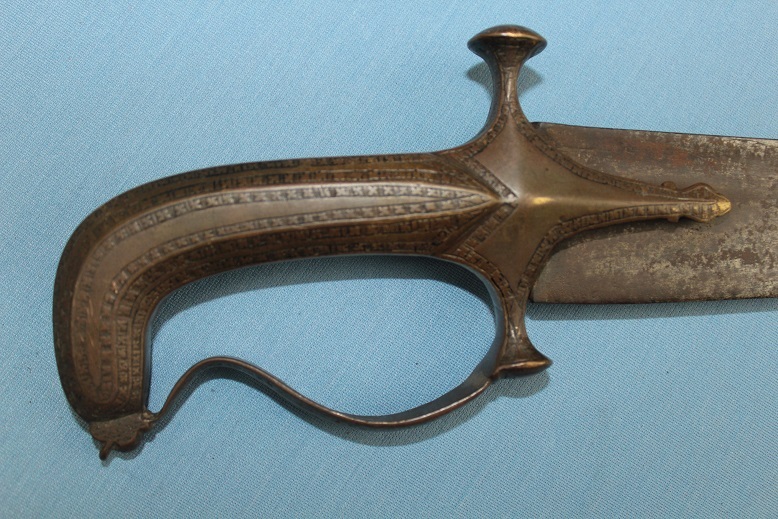 The bronze hilt is a rare type being of classic Deccan form as seen in "Arts of the Muslim Knight". The hilt carries the classic "S" shaped knuckle guard, lobed quillon ends and a deeply chiselled surfaces throughout. 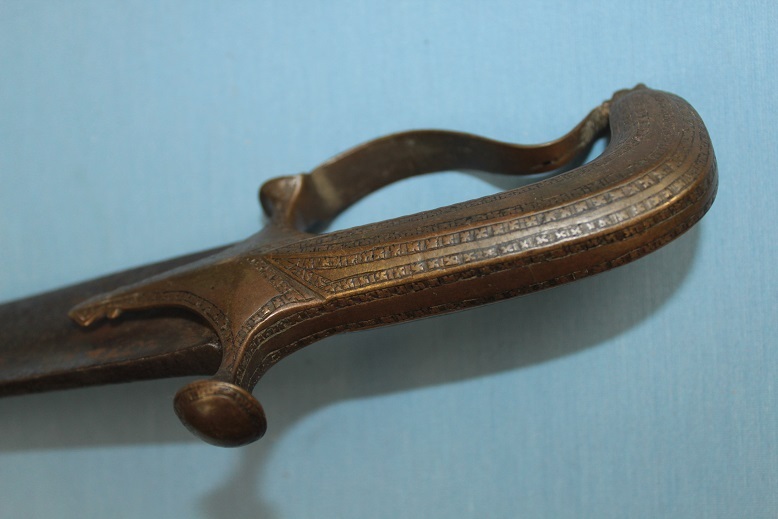 The blade is rather unusual and in its original uncleaned state it is hard to determine the exact origins as either European or Native Indian made. 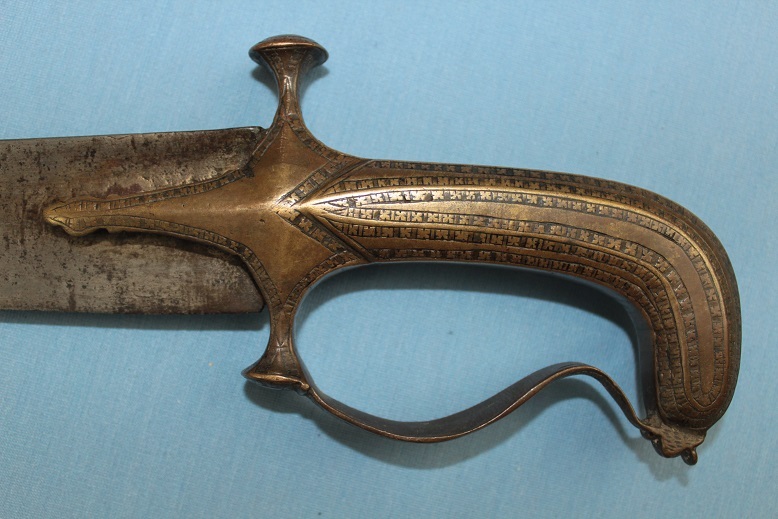 It is very wide at the base and has the classical non sharpened Indian Ricasso. 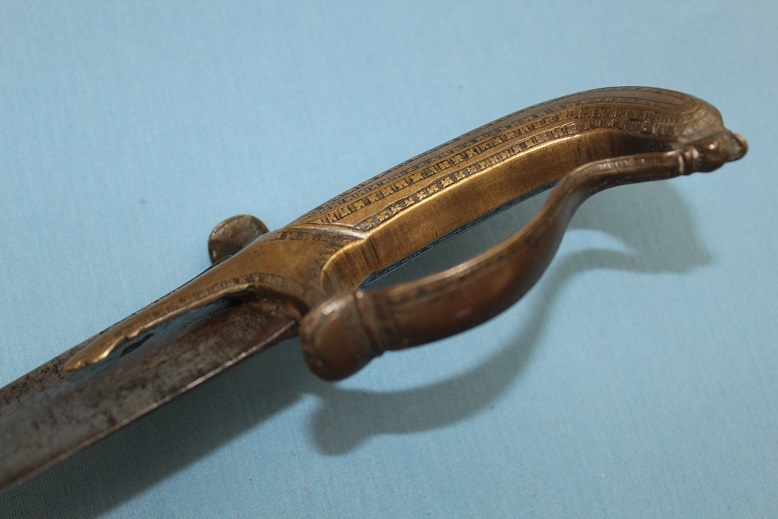 It is deeply fulled with a single broad fuller running the blades length in the upper half of the blade, almost creating a "T" like spine. Its edge is sharp as is the back edge. 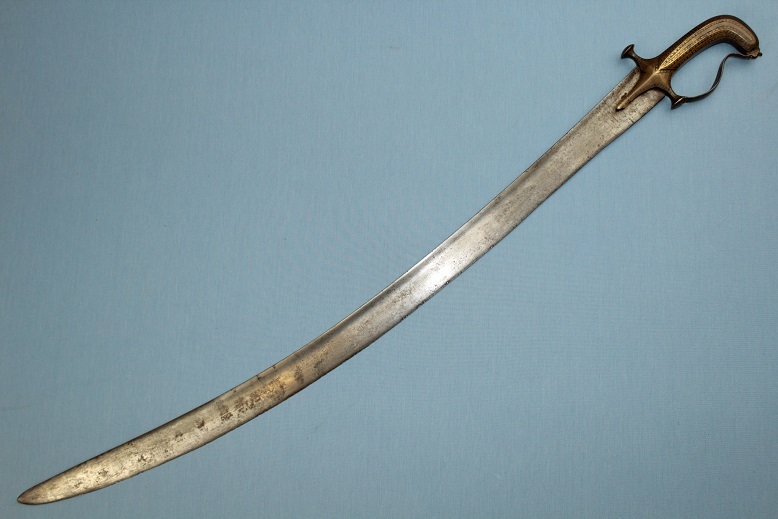 A good 18th century Deccan fighting sword.